Thanks for the link, they have lovely tape! love the mini flag bunting! Those decorated bottles are so cute and I love the way it was used to dress up a little package. I think I need to buy a roll or two of this magical stuff! I love this, thank you for the inspiration!! 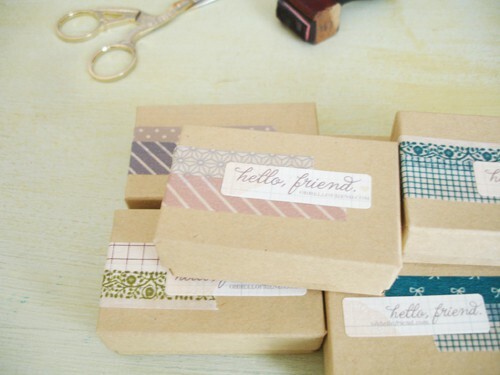 I LOVE washi tape Wednesday. It us such wonderful stuff. 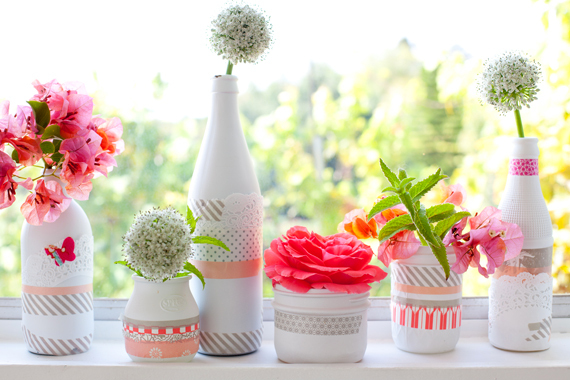 Those vases at the top make my heart happy. Love the decorated bottles! What a fab idea - thanks for sharing. ADORABLE! 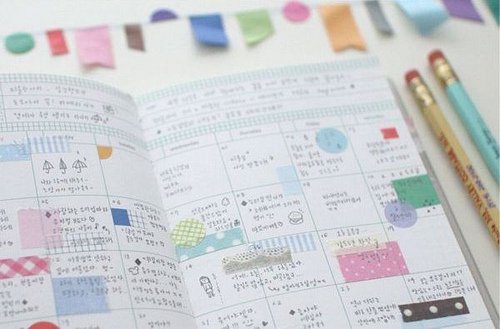 That planner is divine. 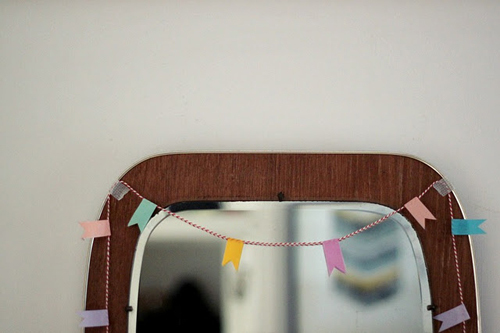 I love the mini bunting! Excellent craftsmanship. This is an inspiration. Thanks for sharing. "My regular features never turn out to be all that regular, so I wouldn't expect to see it every week"